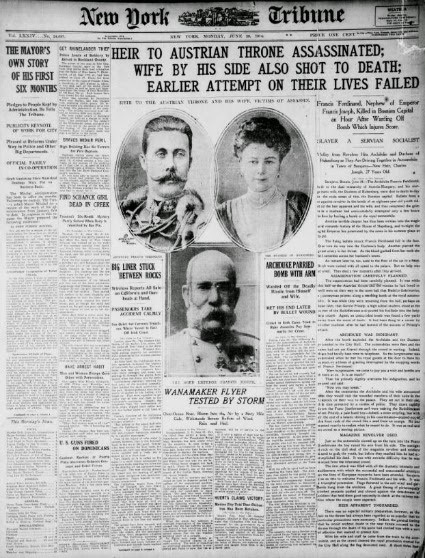 The Archduke of Austria, Franz Ferdinand was the heir to the throne of Austro-Hungary, but never made it to that position due to his assassination, which eventually brought about war between Austria and Serbia. This is one of the starting points to World War I. 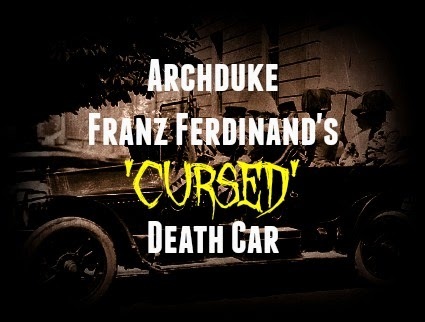 On June 28th, 1914, Franz Ferdinand and his wife were killed in Sarajevo while they rode about in their limousine. Legend has it that the limousine carries a curse from that fateful day. Dating back to the Habsburg dynasty within imperial Austria, the open-topped limo was bestowed upon Archduke Franz Ferdinand, who was in place to take over the throne (which carried along with it some rather troubled baggage). His assassination took place while he was conducting a state visit to Sarajevo, which was then located in Bosnia and Herzegovina. The imperial court of Vienna, causing unrest among the people, had recently annexed the state. On this particular event, Ferdinand brought along his wife, who rarely accompanied on these visits. It was an anniversary gift to the then pregnant Sophie. The driver of the car also chauffeured General Potiorek of the Austrian army, as well as three other dignitaries. 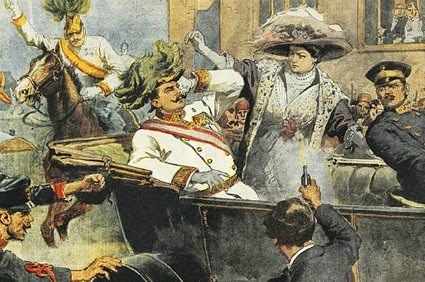 As they traveled down the road, an ambitious young nationalist by the name of Gavrilo Princip walked in front of the limo and shot the Archduke and his wife. 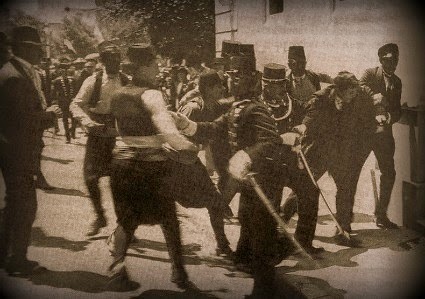 Unknowingly, Princip was responsible for creating the event, which set World War I in motion. 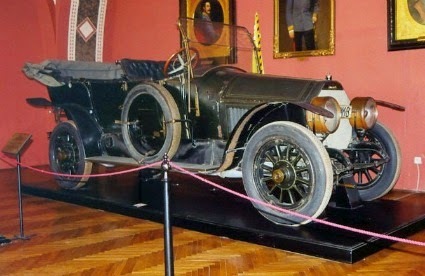 The car was not put away or set on display; it became the property of one of the original riders on the assassination date: General Potiorek. While the war was into a couple of weeks, his armies suffered losses by members of the Serbian armies. Emperor Franz Josef I called for the General to return to Vienna. When he returned, he was greeted by those who looked down upon his failures. This destroyed his reputation, causing him to go into a great state of depression and eventually died. At this point, no one looked at the car as being cursed. The next owner was a captain within Potiorek's army. In less than ten days, while riding in the car, he was involved in a nasty accident. He killed two peasants while driving the vehicle, swerving upon contact. He then hit a tree, where he too lost his life. After the end of the war, the governor of Yugoslavia became the new owner of the car. One after another, he encountered a host of unfortunate accidents. It is said that he dealt with four accidents over the course of four months. One of them caused the loss of his left arm. He sold the car to a doctor, who was crushed to death when he overturned the limo in a ditch. He had only owned it for six months. A diamond dealer named Simon Mantharides took over possession of the car. He too died by his own hands. The car then became the possession of a Swiss racing driver, who later died in an accident involving this same vehicle. Some sources that he met his death by being thrown over a stone wall. A Serbian farmer then paid a hefty amount of money to own the car because he admired the historical significance. He soon lost his life when an unusual accident involving the car, a horse and a cart. The next lives taken by the car was a garage owner who was returning from a wedding. He tried to pass a long line of cars, but was killed when the car spun out of his control. Other sources state that he also killed a few of his friends in the car as well. This is the last time that the limo has been driven on the road. It now resides within Vienna's Heeresgeschichtliches Museum. When visitors to the Vienna museum ask an attendant if they can climb into the infamous 'haunted car,' they are always refused access. Not only because it's a prized historic relic, but because it has been tied to 20 million deaths during the Great War... and that it was always seeking more victims.